Millions of ethnic Chinese people will be paying their respects to dead ancestors this week, as they observe the ancient Qing Ming festival. The centuries-old festival, also known as “tomb sweeping day”, is traditionally observed by sprucing up loved ones’ graves and making offerings to their spirits. But in recent years, it has taken on a more hi-tech style for some people. This year, one cemetery in Nanjing in China has rolled out a special service for time-starved mourners, reported Beijing News. 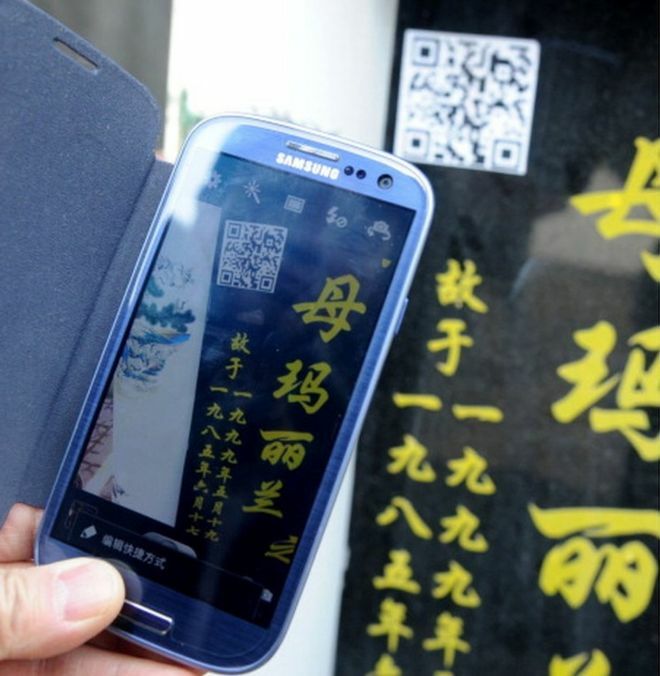 If you can’t get to the grave yourself, staff at the Yuhuatai Gongdeyuan cemetery will clean tombs and place bouquets for paying clients, who watch the ritual via a livestream on the Wechat app instead. Many cemeteries now also operate online memorial pages, where you can pay your respects by burning virtual candles and buying virtual gifts, reports Shanghai Daily. Some embed QR codes on tombstones – scanning the code with your phone allows you to access interactive memorials featuring photos and videos of your loved ones. The Changqing cemetery in Beijing has gone one step further by removing the actual grave itself – the deceased is cremated and their ashes put in a biodegradable urn. The family is then given a plaque engraved with a QR code as a sort of virtual grave. It is the latest space-saving measure in China where authorities have been promoting cremation and other alternatives to traditional burials. Hiring professional mourners has also become increasingly popular in recent years among those unable to travel home to pay their respects. But it has attracted an inevitable backlash among traditionalists who see it as insincere. Another reason to encourage virtual mourning is that it cuts down on air pollution during the festival, which is officially on 4 April but is observed throughout the week. The Chinese believe that burning joss sticks, joss paper, and paper offerings – sometimes quite large ones – honours the dead and transmits money and other goods to their loved ones in the afterlife. In Singapore, one Buddhist temple this year has banned devotees from burning “treasure chests” – large paper boxes containing paper clothes and luxury goods – reports The Straits Times. Meanwhile in Malaysia – where dengue fever is a concern – some shops are selling biodegradable urns for joss sticks, to replace normal urns which could collect rain water and breed mosquitoes. Still, that has not stopped some Chinese people from splashing out on extravagant and modern offerings for the dead. Burning paper versions of luxury clothes, handbags, watches, and gadgets is not uncommon. One Chinese family in Malaysia this year took it to another level this year when they spent the equivalent of £3,035 ($3,800) on a life-size replica of a yellow Lamborghini. The paper craftsman told the Sin Chew Daily newspaper that he had received orders for “super bikes, yachts, aeroplanes and bicycles” as well.